A few weeks back, this short cryptic video came to my attention thanks to the magic of Twitter. For more than a year now, I have been posting links and other short bits on Twitter using the #tmwyk hashtag. In the last few months, it has gained momentum. A day rarely goes by without someone posting something interesting or delightful or surprising there. But back to the video. We get a very brief glimpse of a classroom of Kindergarteners on a walk. At the moment the video captures, they are trying to decide whether the object on the wall is, or is not, a spiral. I decided to ask Griffin (9 years old) about this to see what his ideas would be. That image in the video was not a spiral because “Spirals are connected”. Griffin’s reply: That’s three things connected, not one thing. So I drew this (sort of). 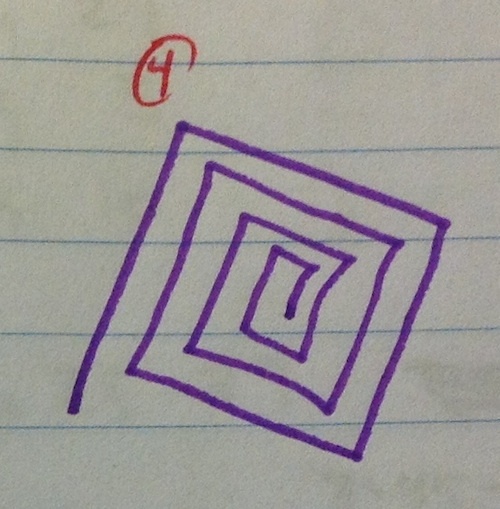 The part I actually drew was two disconnected spirals. He drew the short line segments on the ends. 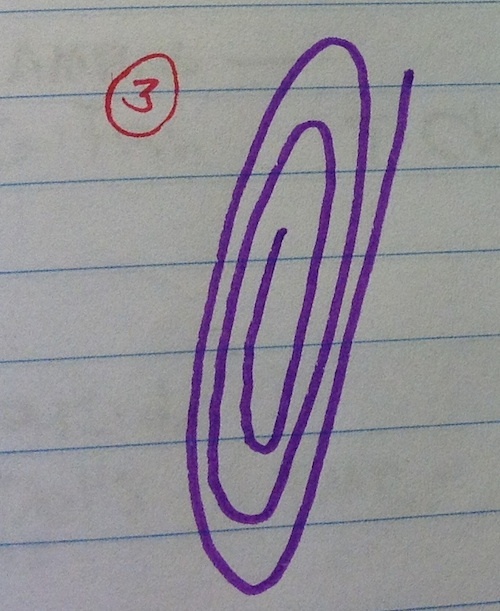 Griffin: If you close them off like this, it’s an outline of a spiral. 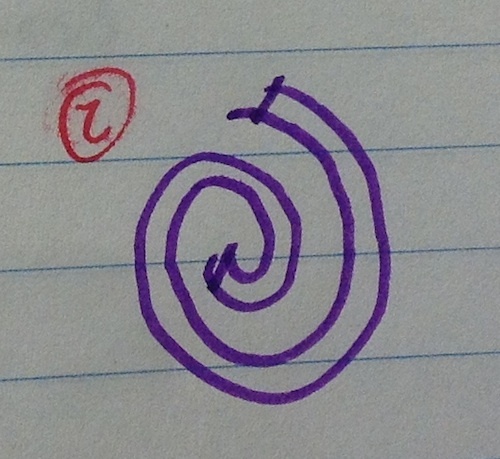 I was wondering whether spirals needed to be roughly circular. 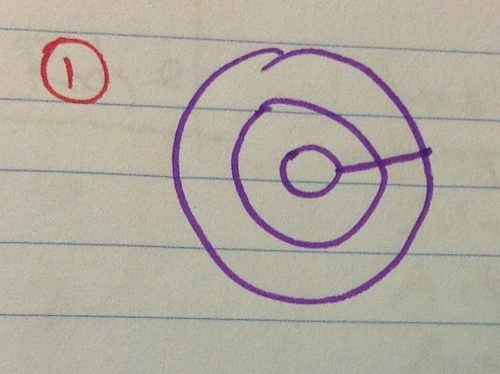 Griffin: In this one, you are looking at a spiral from its edge. I cannot recall his response. We were on the porch on a warm lazy sunny spring morning at the end of a long long winter. We may have gotten distracted. This is how I teach critical thinking. Not just at home, but in my work, too. Get the child to make a claim and to give a reason supporting it. Cook up a problematic example and ask for a new claim. Repeat. Quit before angering child. WARNING: It is my experience with my own children—as well as with my students of all ages—that they learn these lessons well. This means that over time they begin to argue back intelligently, and that they begin to pick apart my own claims and arguments.